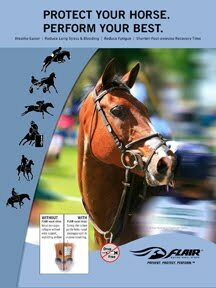 Wellington, FL - January 19, 2011 - The 2011 FTI Winter Equestrian Festival (WEF) started its second of 12 weeks of competition today. In the main International Arena, Charlie Jayne of Elgin, IL, rode Manneken du Coty for Pony Lane Farm to victory in the $8,000 G&C Farm 1.45m Jumper class. This week's course designer in the International Arena is Luc Musette of Belgium. Nineteen entries contested the Time First Round course, and six were able to find the path to a clear round. Going third in the order were Jayne and Manneken du Coty. They were clear in 58.858 seconds to take the lead, and couldn't be caught through the rest of the class. Mario Deslauriers (USA) and Whistler, owned by Jane Clark, finished second with no faults in 59.363 seconds, while Ben Maher (GBR) was third on his horse Triple X 111. Maher posted a time of 64.044 seconds. "We got this horse in Syracuse last year. Harrie Smolders brought him over as a speed horse. When he saw the horse in Europe, he said, 'I'm was going to buy it and bring it over to the country and it'll be the best junior jumper you've ever seen.' We loved it," Alex Jayne explained. The horse was purchased as a junior jumper horse for Madeline Thatcher of Pony Lane Farm, and they placed second last week in their debut class together. 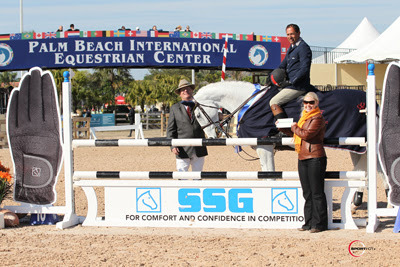 The gelding has shown with Charlie Jayne in two pre-WEF circuit prix classes and won one there as well. "He is really well-bred, and he came from a good home in Europe," Alex Jayne said. "We're excited to have him. Maddie did the junior jumpers last year and rode Kinda Blue. We were looking for a replacement for him, so hopefully this is the horse." Although this was the opening class of the week, Charlie and Manneken du Coty were not just practicing. Alex noted, "We went in for speed. 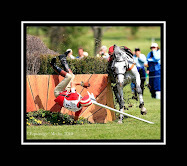 This horse is experienced, so we went in thinking we were going to win. The course was great." 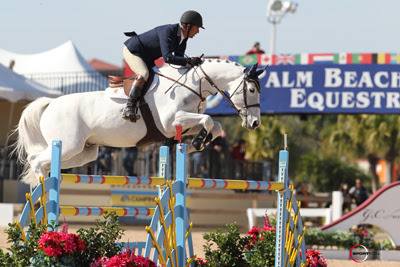 Week two of the 2011 FTI Winter Equestrian Festival continues tomorrow with the $31,000 WEF Challenge Cup Round 2 in the International Arena at 1 p.m.